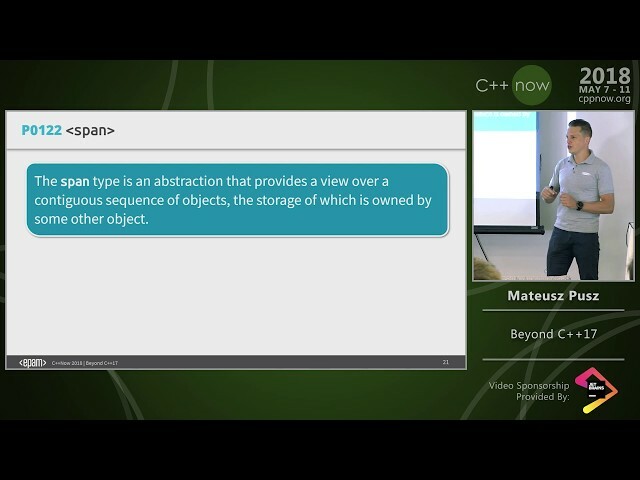 The most of the Concepts TS and Ranges TS is merged into the C++20 standard draft document. The talk will present a current design of those features and will provide suggestions on how to use them in our source code. 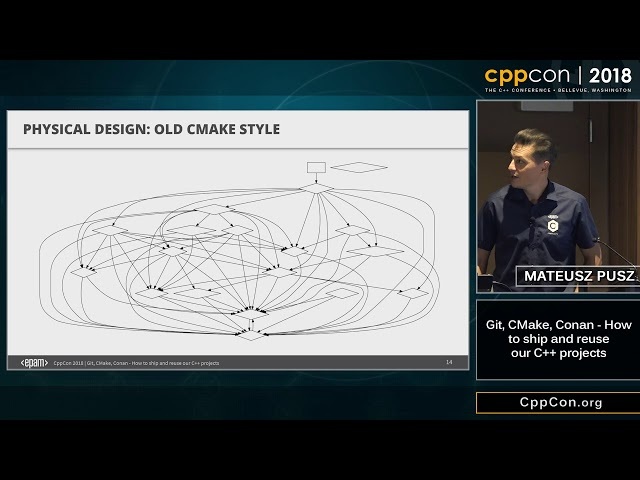 That presentation is meant to inspire discussion on how should we use those long-awaited features while building tools and the C++ Standard Library. 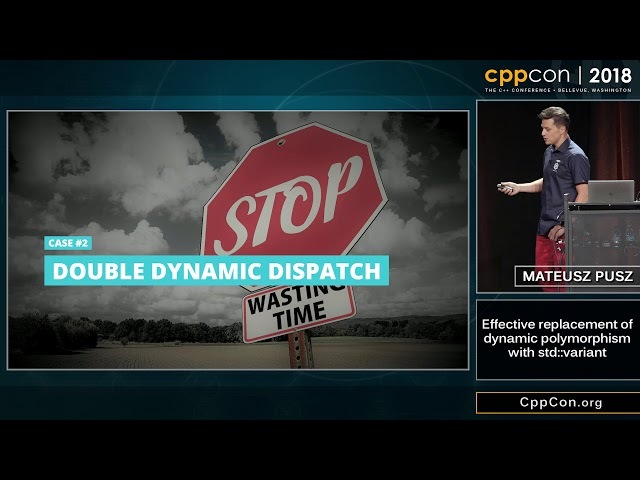 This short talk presents how easy it is to replace some cases of dynamic polymorphism with std::variant. During the lecture, we will analyze and compare 2 implementations of the same simple Finite State Machine. 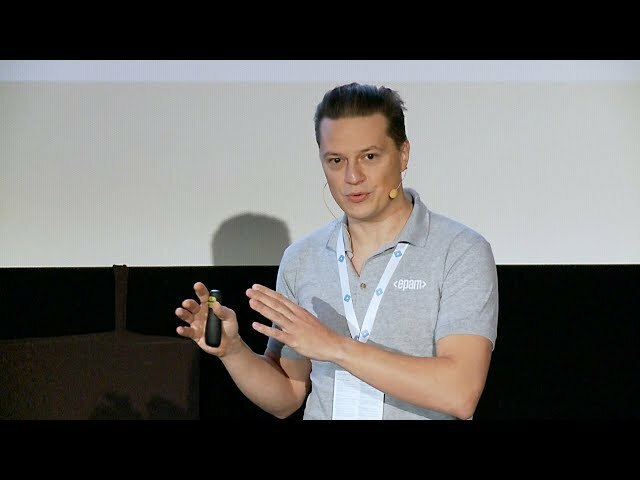 It turns up that variant-based code is not only much faster but also it gives us the opportunity to define our interfaces and program flow much better. 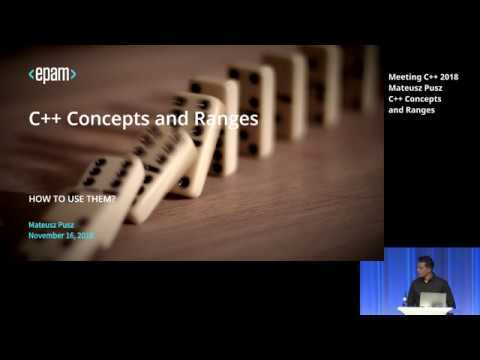 The talk will end up with the discussion of pros and cons of each approach and will try to give guidelines on when to use them. 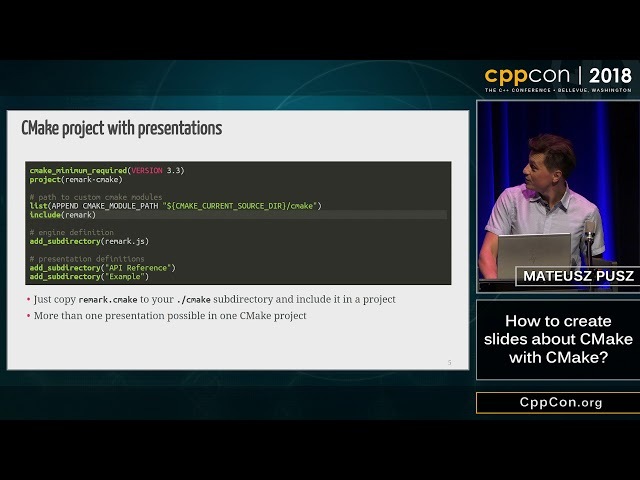 This short Lightning Talk presents how one can create slides for C++ talks using CMake to generate content for remark.js. 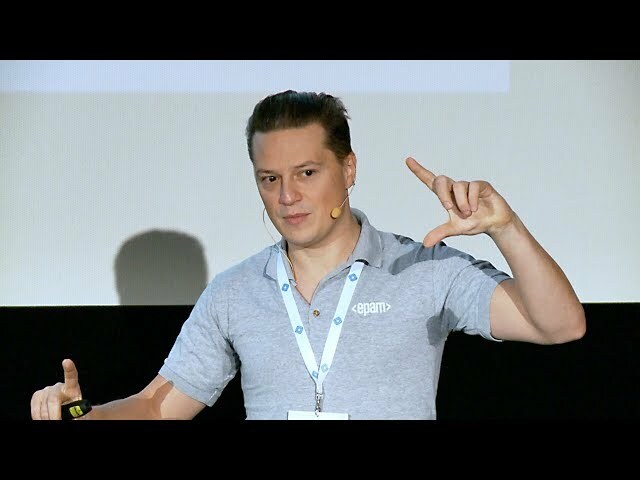 Video recordings of all lectures performed on various conferences and events by Train IT trainers can be found on Train IT YouTube channel. 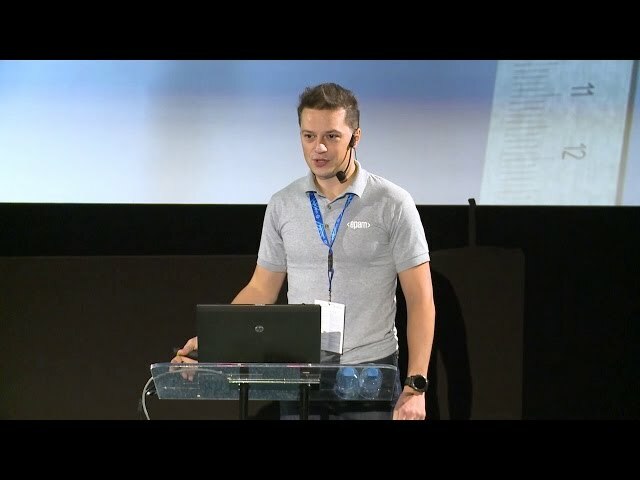 Presentations from all conferences and events performed by Train IT trainers can be found on Train IT GitHub. All papers with proposals of changes to ISO C++ Standard written by Train IT can be found on GitHub.IO.